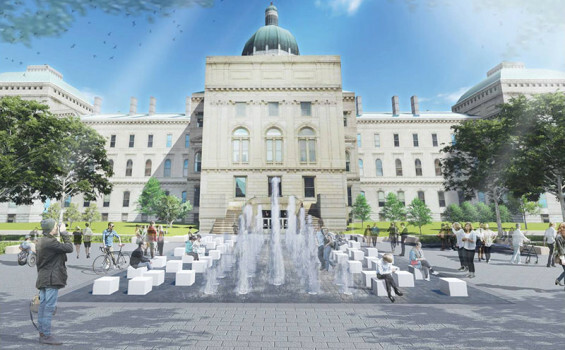 A planned commemorative plaza on the grounds of the Indiana Statehouse will beautify the west entrance to the Capitol Building, replace aging infrastructure and improve pedestrian safety. Indiana Department of Administration (IDOA) Commissioner Jessica Robertson and Jason Larrison, state architect with the IDOA’s Public Works Division, presented the plaza update to the Indiana Bicentennial Commission. 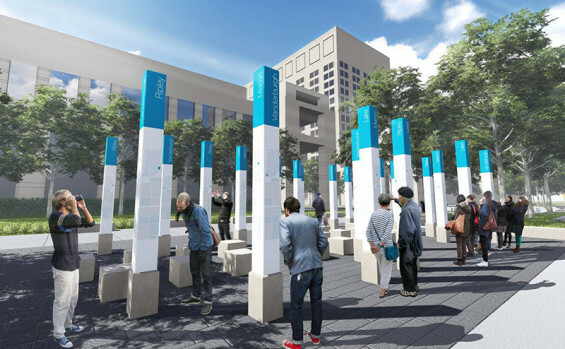 The $2 million project, called Bicentennial Plaza, will be built at what is currently the intersection of Senate Avenue and Robert D. Orr Plaza. 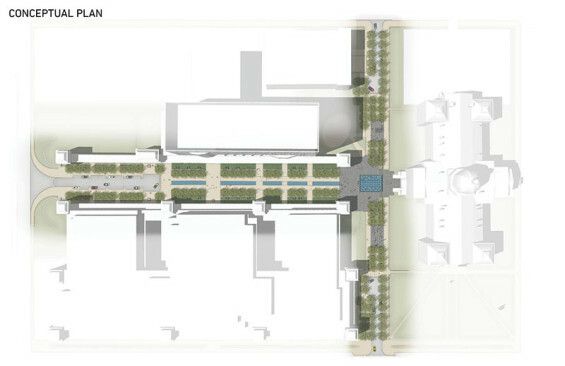 Work on the plaza is slated to start in September, said State Architect Jason Larrison. 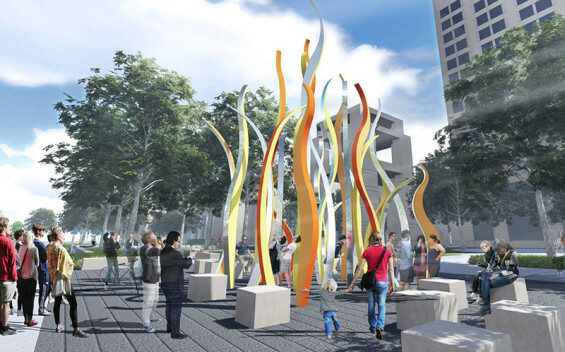 The plaza will feature a fountain, an “Enduring Flame” sculpture and a terrace with upright columns representing Indiana’s 92 counties. 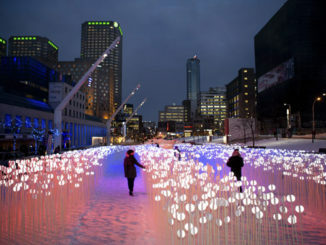 The plaza fulfills a vision first expressed a century ago. In the months leading up to 1916, officials drafting the Indiana Centennial Celebration Plan proposed a plaza along Market Street to the west of the Statehouse (including additional state office buildings that did eventually become reality in the proposed vicinity). 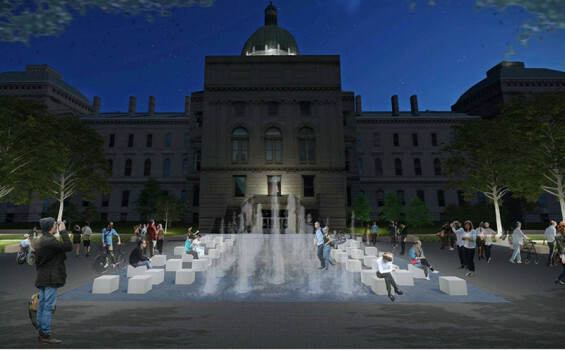 In 2014, following a selection process, the Indiana Department of Administration selected the landscape architecture firm MKSK Studios to design Bicentennial Plaza. 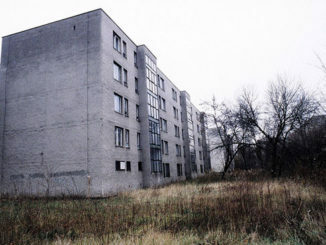 The project will be funded by private donations and proceeds from leasing state-owned and operated communications towers. The project is subject to legislative approval of the Bicentennial capital projects in the current budget bill. The permanent closure of the intersection of Senate Avenue and Robert D. Orr Plaza will produce safer traffic and pedestrian patterns on the grounds of the Indiana Government Center, Larrison said.